Coming in summer on Electraphonic Records, the new album by Memphis soul music kings The Bo-Keys gets a boost from founding member Charles “Skip” Pitts, one of the architects of soul, R&B, and funk guitar. 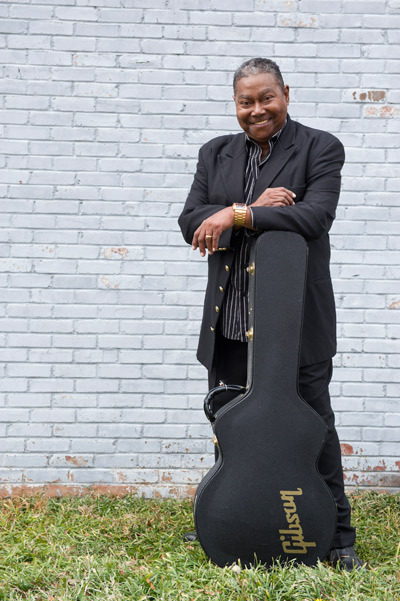 Pitts is best known for creating two of the signature guitar riffs of all time: The Isley Brothers’ “It’s Your Thing” and the wah-wah on Isaac Hayes’ “Theme From Shaft.” In fact, he is associated so deeply with the wahwah pedal that he is interviewed in a new documentary “Cry Baby: The Pedal That RocksThe World” alongside Slash, Buddy Guy, Eddie Van Halen, Kirk Hammett. Pitts experienced the longest collaboration of his career with Isaac Hayes, staying with him from 1971 to 2008. After the success of “Shaft,” he appeared in the concert film “Wattstax” and started recorded with other Stax artists, holding his own with Albert King, among others. Pitts’ accomplishments continue deep into the 21st century; alongside the Bo-Keys, he performed on Cyndi Lauper’s GRAMMY-nominated 2010 album ‘Memphis Blues’ and backed her on the Late Show with David Letterman (CBS). He has also given back to his Memphis community, teaching at-risk youth in Memphis at the Stax Music Academy. And his music has come full circle, with his classic guitar riffs sampled by hip hop royalty such as Dr. Dre with Snoop Dogg, Beastie Boys, Massive Attack, Eazy-E, and DJ Shadow with Cut Chemist.